These are devices that give the optometrists idea of the refractive status of the eye. This instrument measures the curvature of the transparent outer portion of the eye. This is important especially in contact lens fittings and is also helpful in identifying patients with dry eyes. The integrity of the outer portion of the cornea is seen and keratometer may reveal corneal conditions needing special contact lens fits such as keratoconus, corneal irregularities and high astigmatism. These tests help us determine how your eyes work together as a team. This test is invaluable for detection of how your eyes work together. It is known to evaluate the ability of your eye to appreciate 3D. This is a very powerful instrument that will help our optometrists examine the structures of the front of your eye. It is with this instrument that we can measure the intraocular pressure of the patient, diagnose dry eyes and see presence of cataracts. This device allows the optometrists to see the back of your eye. Optometrists will be able to evaluate the presence of macular conditions, cataract, optic nerve, blood vessels and retinal abnormalities. Any abnormality seen will prompt a referral to the ophthalmologist for co-management. This is a screening test to identify color vision problems. 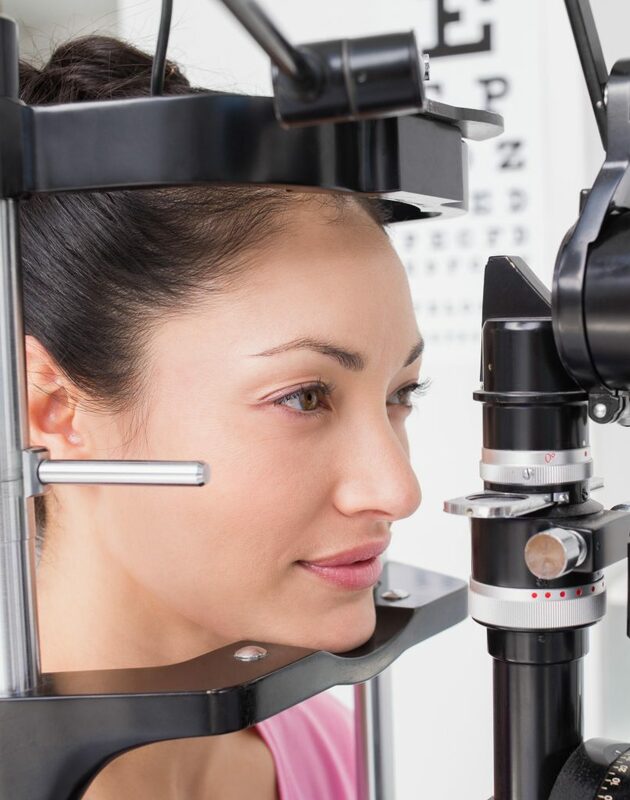 In some cases where optometrists suspect the presence of conditions that may affect the field of vision of patients, screening tests will be performed. Glaucoma is a disease in which damage to the optic nerve leads to progressive, irreversible vision loss. It is the second leading cause of blindness. There are different types of glaucoma, and high eye pressure is one of the risk factors for the development of disease. Measuring the eye pressure has several variations. We use the standard Goldmann applanation tonometer to test the eye pressure. Normal intraocular pressure averages between 12-22 mmHg.